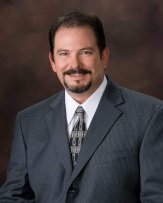 Dr. Todd Stephens has been a Doctor of Chiropractic since 1996. Like many other chiropractors, his passion for the profession arose out of his own health challenges. At the age of 20 Dr. Todd struggled with the sudden onset of recurrent and severe migraine headaches. After trying traditional medical treatment and prescription medications, he finally found relief at a Colorado chiropractic office. Dr. Todd's experience led him to reconsider his career plans. He had intended to pursue a career in the traditional medical field, however, after experiencing firsthand what could be achieved by allowing the body to do what it does best, he decided to become a Doctor of Chiropractic. He went on to complete his undergraduate studies in Colorado and in 1995 received his Doctor of Chiropractic degree from Cleveland Chiropractic College in Kansas City, Missouri. Prior to moving to Wisconsin, Dr. Todd spent 13 years practicing in a small community in Colorado. Personal experience makes Dr. Todd extremely sensitive and understanding to the needs of his patients. He prides himself on the personal attention he gives each patient, taking time to get to know each as an individual, and creating a treatment plan designed specifically for their needs and overall health and wellness goals. While initially many patients come to the office for relief of pain and symptoms, Dr. Todd believes in regular chiropractic care throughout life to support the body's innate self-healing abilities. Dr. Todd and his wife Tina, who is originally from Spooner, have 5 children. The entire family receives regular chiropractic care to support their continued wellness and active lifestyle. Dr. Todd and his wife Tina are actively involved in their local church as youth group leaders. Dr. Todd spends his free time hunting, fishing, ATVing, snowmobiling, golfing, and living life to the fullest. He enjoys these activities even more when he's with family and friends.